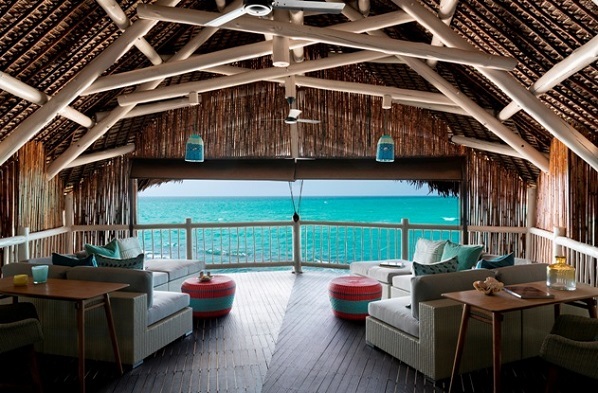 Secluded on a pristine private island in the Quirimbas Archipelago off the northern coast of Mozambique, Anantara Medjumbe Island Resort has reopened following an extensive refurbishment. The 12-villa, adults-only African island hideaway now features refreshed décor, luxury villa upgrades and new signature experiences, including a Robinson Crusoe-style star bed for the ultimate romantic escape. Naturally intimate, Medjumbe Island is a mere one kilometre long and 300 metres wide. Tranquil seclusion in paradise is matched by convenient access, just a 45 minute light aircraft transfer from Pemba International Airport, which can be reached from Mozambique’s capital Maputo or international flights from Johannesburg or Dar es Salaam. Now, with a host of enhancements, the resort has reopened to offer more unique signature experiences and natural attractions and will soon be the only African island resort to use 100 per cent solar energy. Refreshed décor gives Anantara Medjumbe a distinctive African island identity. The resort has been extensively restyled using colourful patterns to depict the vibrancy of local culture. Shades of blue and aqua reflect the evolving hues of the Indian Ocean. All of the 12 thatched Beach Pool Villas, which open onto soft powdery sands, exude a sense of natural luxury, including newly designed private splash pools with an aqua mosaic finish, and a built-in Champagne step to sip bubbles while admiring the Indian Ocean view. In the guest villas and public areas, the majority of furniture and lighting was custom designed by interior designers, Savile Row, and produced in Indonesia and South Africa with incredible attention to detail. Various accessories were sourced from around the African continent and framed artworks were created using traditional wax printed capulana fabrics that were sourced from local markets. Surrounding Medjumbe Island, Quirimbas National Park boasts an impressive number of pristine coral reefs that attract an abundance of marine life, making it one of the world’s best snorkelling and scuba diving destinations, as well as a prime haven for dolphin and whale watching boat trips. The turtles which are frequently sighted in the water also come ashore to lay their eggs – often right in front of Anantara’s beachfront villas. Water sport thrills range from water skiing to wake- and knee-boarding. Romantics can travel by dhow sailing boat to picnic on a deserted island, or set off at dusk for a Champagne sunset cruise. Adding to the wide range of ocean experiences, the resort’s new dhow sailing boat lesson offers couples a bonding 90-minute experience on the turquoise waters of the Indian Ocean, with the option of both taking up the challenge of mastering traditional techniques, or one relaxing on-board and cheering on their partner. Anantara Medjumbe’s remote setting and assured privacy promises exclusivity. Untouched natural beauty allows couples to lose themselves and completely unwind. The ocean’s aqua marine shades are dazzling and powdery white sands stretch for over a mile when the tide goes out, with an incredible array of intact corals and shells washing up on the shore. Tropical palms complete the postcard-perfect scene. Undiscovered compared to other renowned diving destinations, the underwater adventures here are truly exceptional. Couples can stroll straight from their villa onto the beach and swim or snorkel without distraction or intrusion – the only other passers by being local fishermen sailing their traditional dhow boats to and from the mainland. The allure of seclusion is balanced by the warm welcome and genuine hospitality of the resort’s team members, who go out of their way to create memorable experiences.